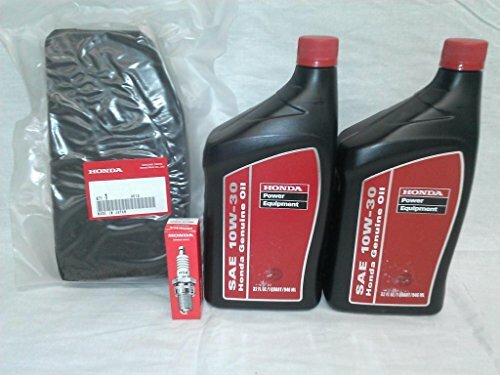 Genuine Honda EU6500 EU6500is EU6500is1 Oil Change Kit, All Honda parts, includes 2 quarts Honda SAE 10W-30 Power Equipment Oil. I Honda NGK Spark Plug. 1 Honda Outer Foam Air Filter.